Spill Control Products will keep a facility safe for employees and in compliance with OSHA regulations. The right spill control products ultimately affect your bottom line. It’s important to be able to clean up a spill quickly and efficiently. 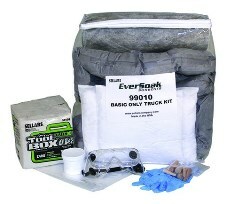 We carry a large assortment of spill control products that will be able to tackle any type of spill in your facility. Do a hazard assessment in your workplace and keep your facility and plant well stocked with the right products. We carry all of the items that you need such as sorbent pads, socks, rolls and pillows or choose a spill kit with all of the necessary items packaged together.